When you're closing on your new home, a neutral, third party (known as the escrow holder or the escrow agent) is used to ensure the transaction will close appropriately and in a certain amount of time. A place is said to be in escrow when in the closing process, funds is secured by a third party on behalf of two parties when the exchange of money takes place. For example, in an Web purchase, PayPal is the reliable third party that obtains the buyer's payment, and then sends the payment to the seller. The escrow company is careful to assure that all terms and conditions of the seller's and buyer's negotiated agreement are performed prior to the sale being finished. This includes receiving monies and documents, finishing required forms, and seeking out the release documents for any loans or liens that are to be paid with the transaction, assuring you have a unobstructed title to your place before the asking price is fully paid. Don't let the unknown keep you from becoming a homeowner. We can help you work your way through the process. E-mail us at DavidAWoolford1@gmail.com. You're ready to close when all parts are finished in escrow process. All debts and fees are collected and paid at this time (covering expenses such as title insurance, inspections, real estate commissions). 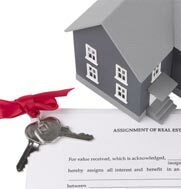 The property's title is given to you and title insurance begins per the policies of your particular escrow agreement. When closing is in it's last step, you'll submit a payment to the escrow holder. I'll keep you informed on the what comes next. This is a easy to understand guide about the escrow process. Your individual plan might be different depending on your lender and your escrow company.